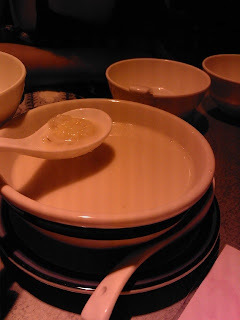 Typical Chinese sweet soup, with herbs that are supposedly good for your voice/respiratory system. 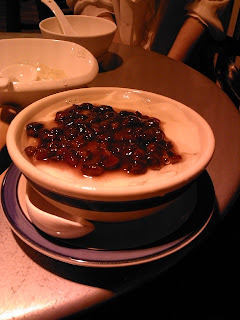 Highlight of the night, a must-order - lychee pannacotta/pudding/mousse thing (the Chinese term for it is just 奶凍 - milk made/rendered cold), made with milk from Hokkaido - super smooth, creamy and fragrant - from both the milk and lychee. 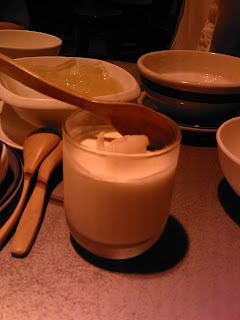 Steamed egg white - very light, perhaps too light and a little watery if I had to be really picky, but I quite liked it actually. 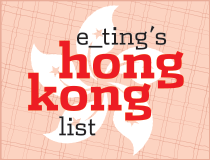 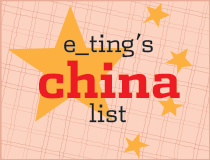 Better than places famous for this, like Yi Shun, whose puddings all taste of milk powder. 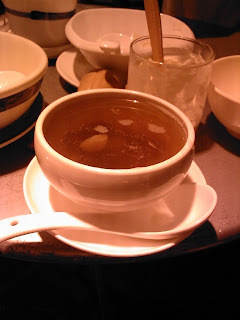 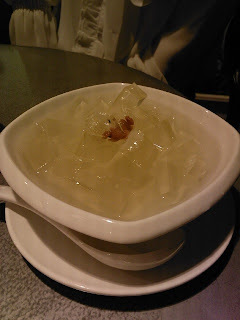 Another typical Canto sweet soup, made with the skin formed when boiling soy milk (called "tofu skin" in Chinese) and gingko. 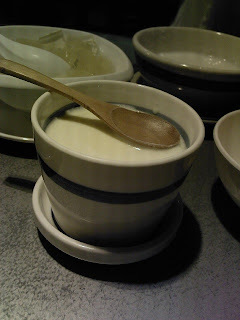 The result is like a richer, deeper tasting warm soy milk. 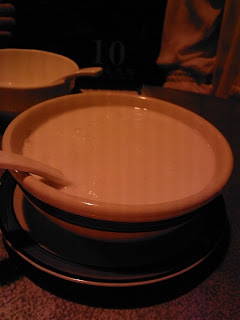 Almond milk and egg white sweet soup - great consistency (thick like molten chocolate), but would've been better (and more consistent with the viscosity) if it tasted of almonds even more. 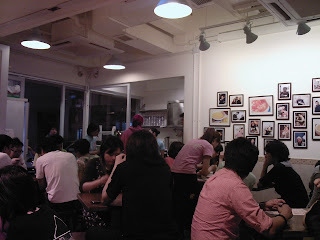 The tiny shop - the tables actually spill out into the alley (where I was sitting and took the picture from).